Rediff.com » Movies » What was a US diplomat doing at Mohan Babu's birthday? 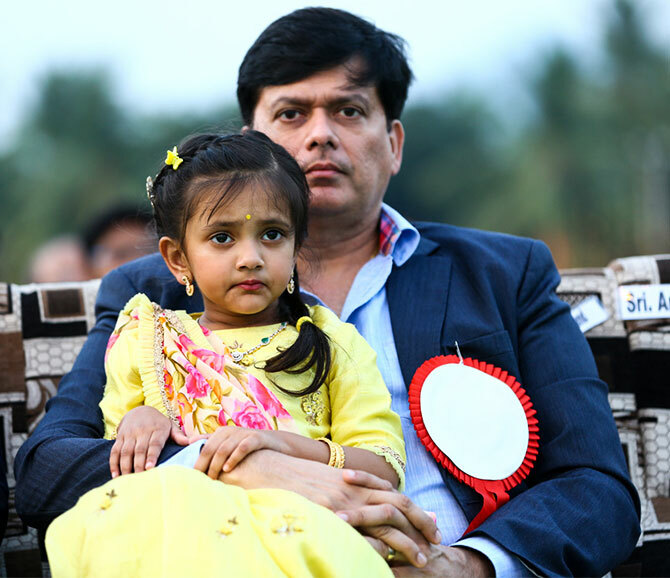 Telugu movie superstar Mohan Babu's annual birthday celebrations were hosted at the Sree Vidya Nikethan school -- which he established 25 years ago -- in Tirupati on March 19. He turned 68. 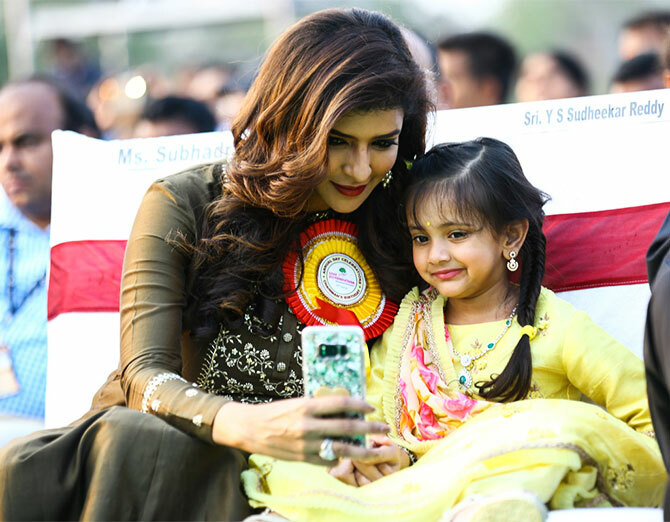 Lakshmi Manchu -- Mohan Babu's star daughter -- takes a selfie with her daughter Vidya Nirvana Manchu Anand. 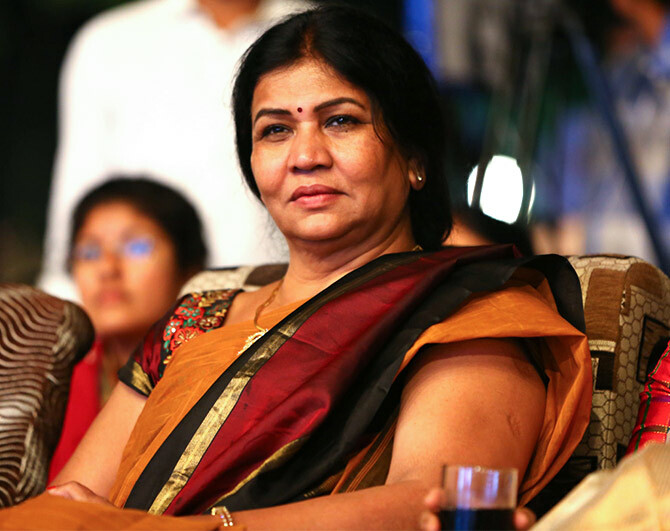 Nirmala Devi, Mohan Babu's wife. 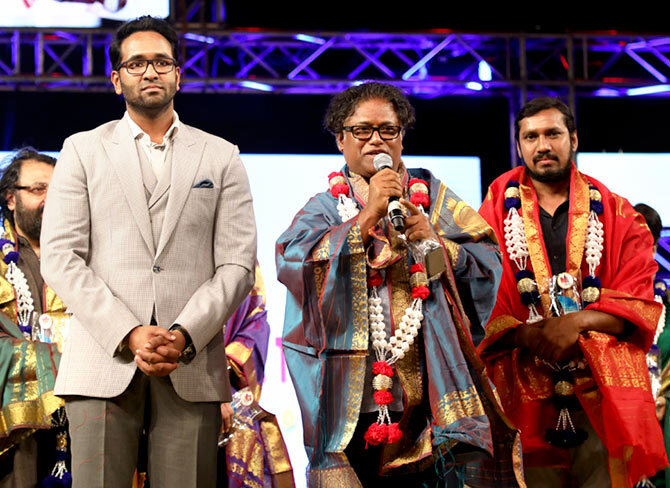 Mohan Babu enjoys the show with Swami Swaroopananda. 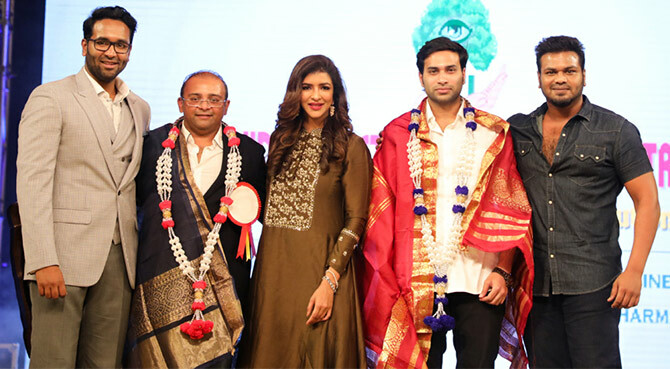 Lakshmi Manchu with her brothers Vishnu, left, and Manoj, extreme right, felicitate politician Devineni Avinash, second from right. 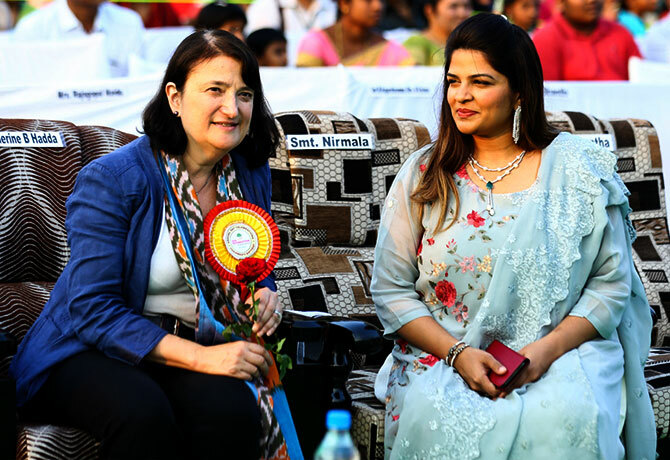 Viranica, Vishnu's wife, with Katherine B Hadda, the US consul general in Hyderabad. The US CG was felicitated at the event. 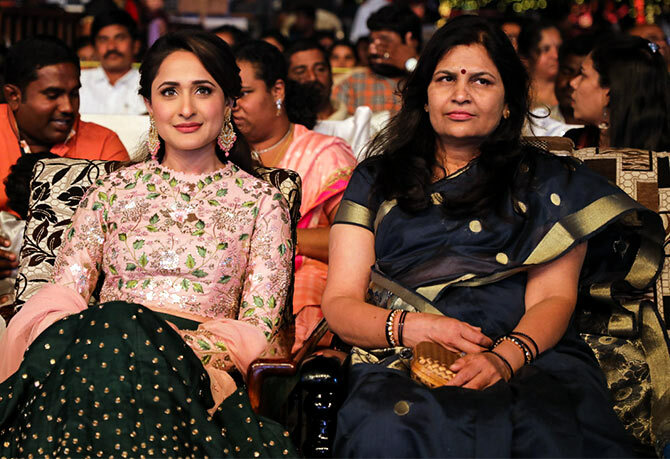 Actress Pragya Jaiswal with her mother. Deepika, Kangana, Sonam's love for low neck fashion!